You’re spoilt for choice with the amount of used touring caravans here at Kimberley Caravans. Our Nottingham and Darlington branches are full of great models from a huge number of different brands. You can find all our second-hand caravans right here online with full details of specification and features. We check each and every used caravan to ensure they are up to our high standards before putting them up for sale, meaning our used touring caravans offer the same great quality at a cut of the price. Pre-owned caravans from as new as 2016 can be found, so you don’t have to worry about missing out on modern designs and features. 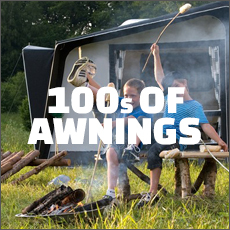 You can find our used caravans for sale at both our Darlington and Nottingham branches. 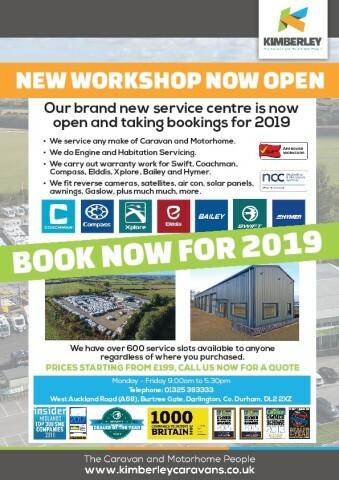 Our Darlington branch is easily accessible from Bishop Auckland, Teesside, Sunderland and Newcastle-Upon-Tyne, making it the ideal centre for used caravans in the North East of England. It is adjacent to the A1 and A68 so also has great road links all the way up to Scotland. Our Nottingham branch, near the M1, is ideal if you are looking for used caravans near Leicester, Derby or Lincolnshire. Browse our range of used touring caravans now and make an enquiry, book a viewing, or enquire about part exchange. Includes pre delivery inspection, main dealer backup, 24 months warranty, HPI check.